It’s fun to hear about all the snow in Birmingham while it’s a sunny 65 degrees here. 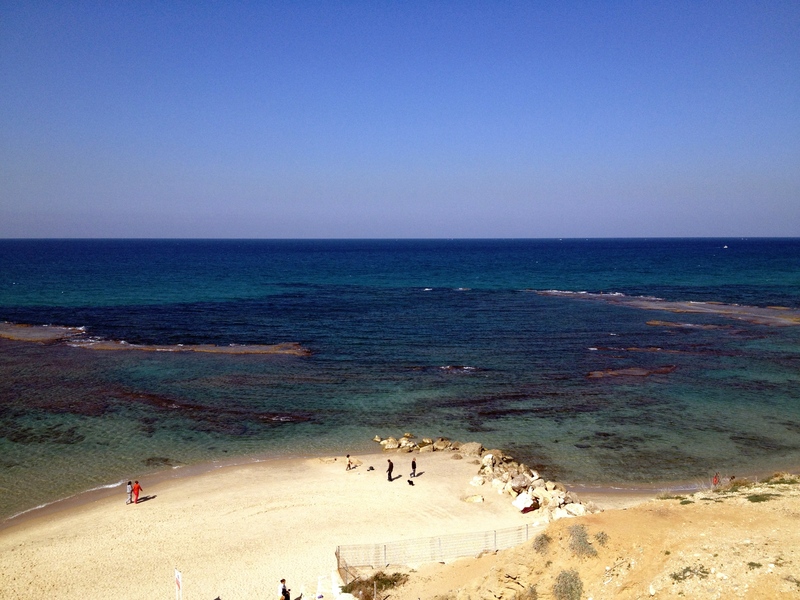 I went on a run in Tel Aviv and came home sun-burnt! This is global-weirding for sure. Your yoga practice is good. I’ve tried so many times to appreciate its slow stretching and meditative intent … but I can’t. I’d rather feel sweat burning my eyeballs during a long run or step off a spinning bike with wobbly legs, gasping for air. Yoga would be good for me, but I don’t wanna. Another thing I don’t wanna…. SCHOOL. Spring semester starts on Sunday and I can’t bear the thought. This break has been wonderful. I climbed out of the classroom hole to experience the things I came here for. 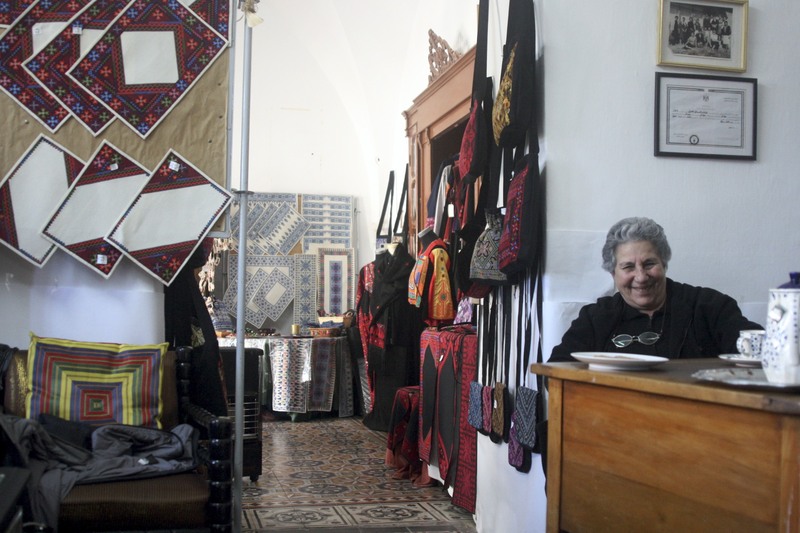 I hosted dinners in Jerusalem, reunited with old friends in Tel Aviv, spent Shabbat with family in Pardes Hana, ate goat cheese from a farm in the Jerusalem forest, baked and cooked and baked, ventured to a women’s embroidery cooperative in Bethlehem, decorated my new room and cooked Yemini food in Rosh Haayin. Lessons from textbooks are limited. The academic abyss that I will return to on Sunday feels soul-sucking and I think I’m much better at learning outside of it. I’m practicing to balance both worlds and must remember not to get stuck in either. One of these days I’ll start doing yoga… and my homework. 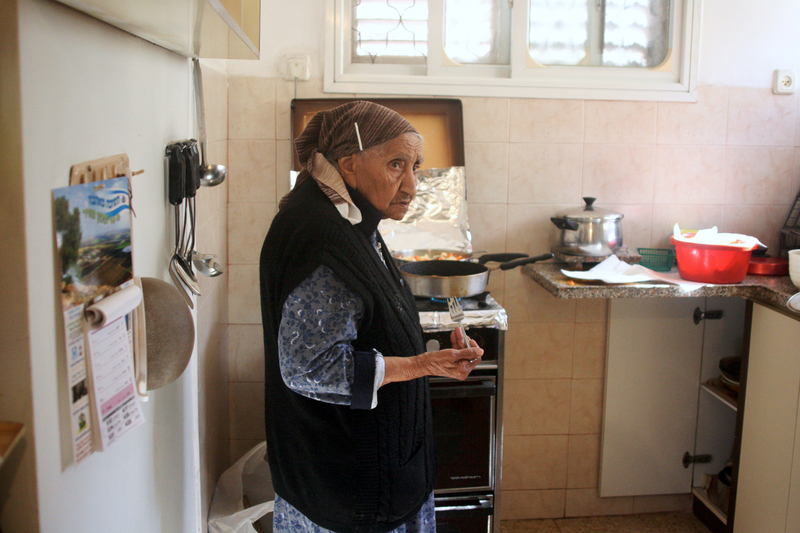 The highlight of these two weeks in Israel was cooking Yemeni food with Dvora and her mother in Rosh Haayin. When Dvora picked me up from the bus stop the first thing she said to me was that she remembered two things from visiting our house over 20 years ago: that you made an amazing hummus she still thinks about and that dad sent her home with bluegrass tapes. I assured her 20 years later things are the same. If a stranger were to visit our house tomorrow, she would probably leave with the same memories – that you stuffed her with incredible food and dad shared his favorite music. 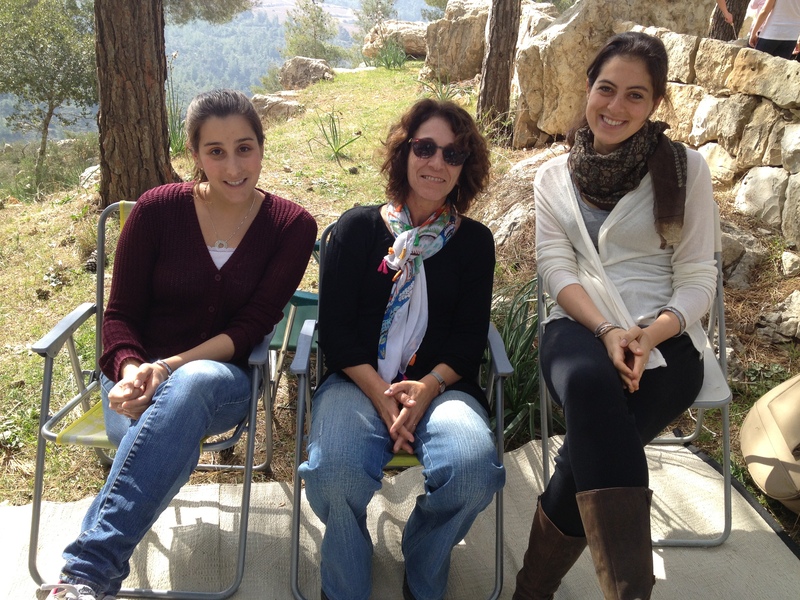 Dvora and I chatted about Birmingham as she showed me Rosh Haayin. It was great to hear her stories of all the people and places that I know. 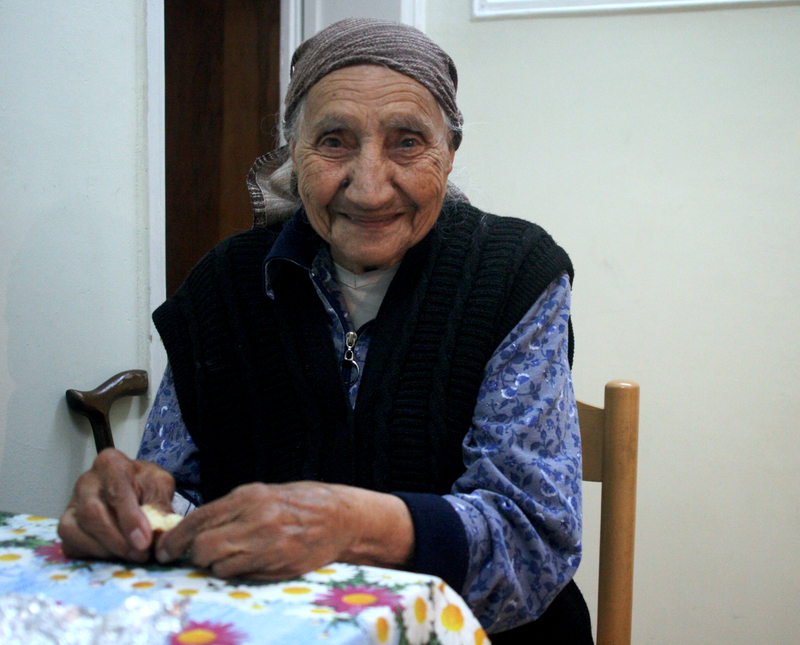 After a visit to the local jeweler and her family’s synagogue, we made lunch with her mother. 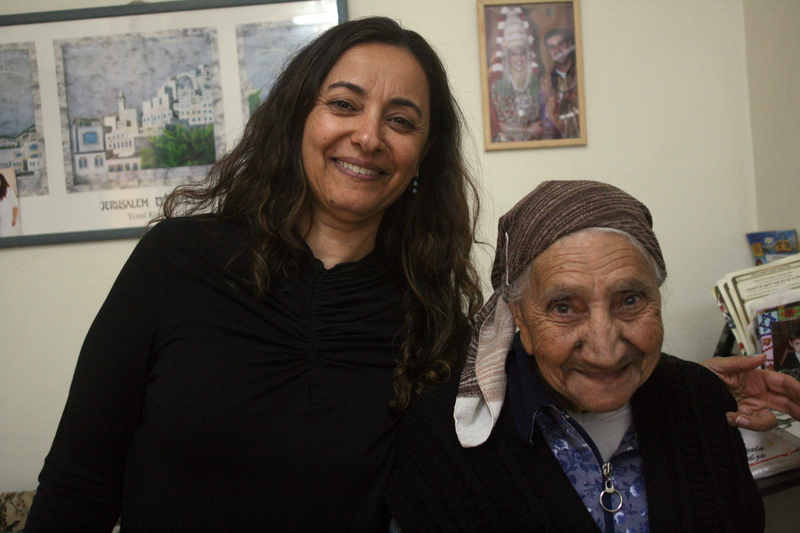 Dvora spoke to her mother in Hebrew and her mother spoke back in a Yemeni version of Yiddish or Ladino… a mix between Arabic and Hebrew. 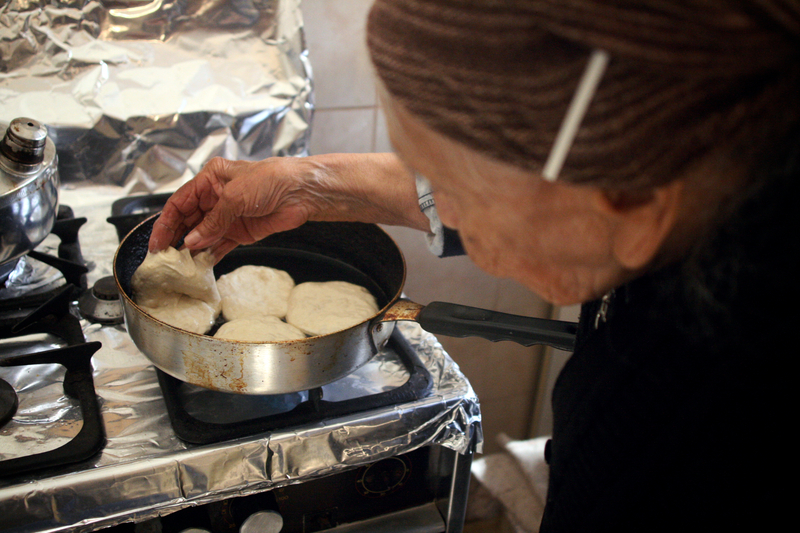 Her wrinkled, tenacious hands reminded me of Bubbe’s… especially when she stuck them in hot oil without flinching. 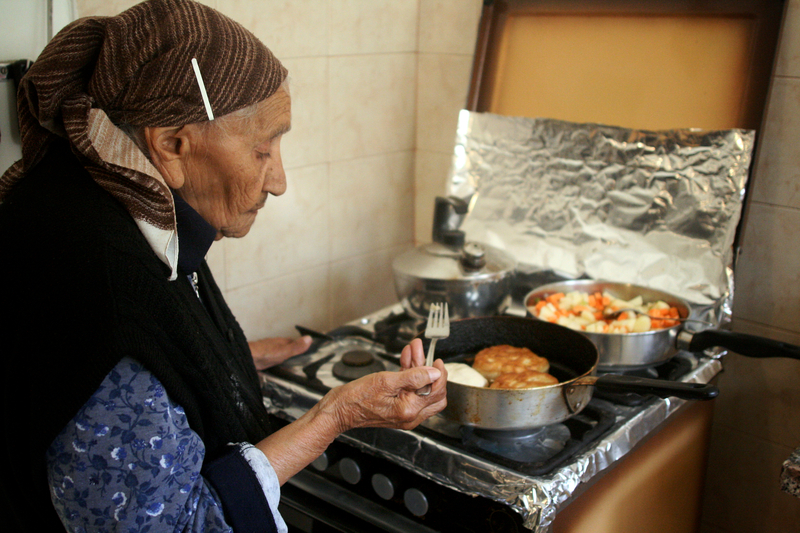 Together, Dvora, her mother and I made two types of Yemeni bread with vegetable stew and Hilbeh, a spicy chutney. Before I left Rosh Haayin, Dvora helped me pick out Yemeni spices at a local spice shop. The smells reminded me of India. When I mentioned this, Dvora reminded me of the spice trail… that India and Yemen’s culinary similarities are a result of their historic trade partnership. 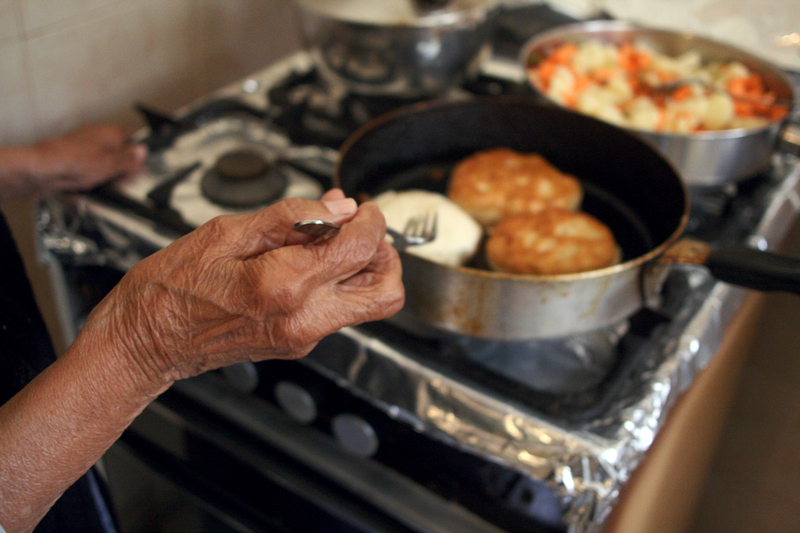 I documented the recipes for the dishes we made, but like Bubbe, Dvora’s mother doesn’t use measuring cups. She relies on her hands. The dough is right when it feels right… sticky and stretchy. Throughout the day, Dvora listed tons of recipes I can’t wait to try – Yemeni charozeth, homemade grape juice… You were right, she’s amazing! This was definitely not my last visit to Rosh Haayin. Dvora and I share the same culinary philosophy – that you can’t be afraid of food; that it’s silly to fret over a recipe when you have your own capable nose and tastebuds. 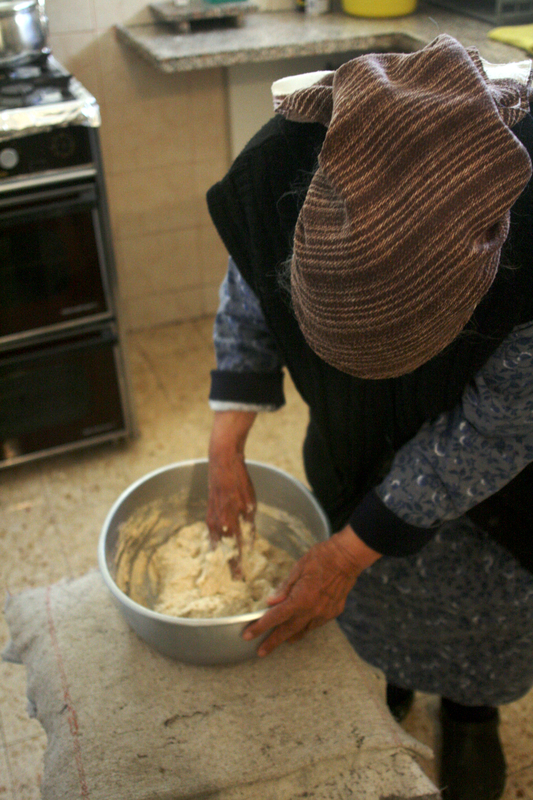 She sent me home with neatly packed Hilbeh and Khubaneh, her family’s Shabbat bread, that I’ll serve at my own Shabbat meal this weekend. Mix egg with salt, sugar and yeast until yeast is dissolved. Add warm water just before sifting in dough. 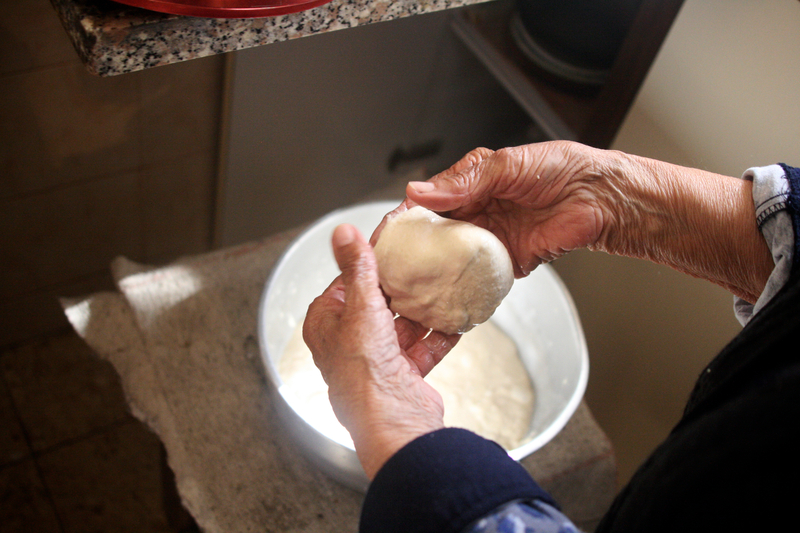 Work the dough with your hands until sticky and pliable. Cover with towel and let rise for just one hour (do not let rise too much). 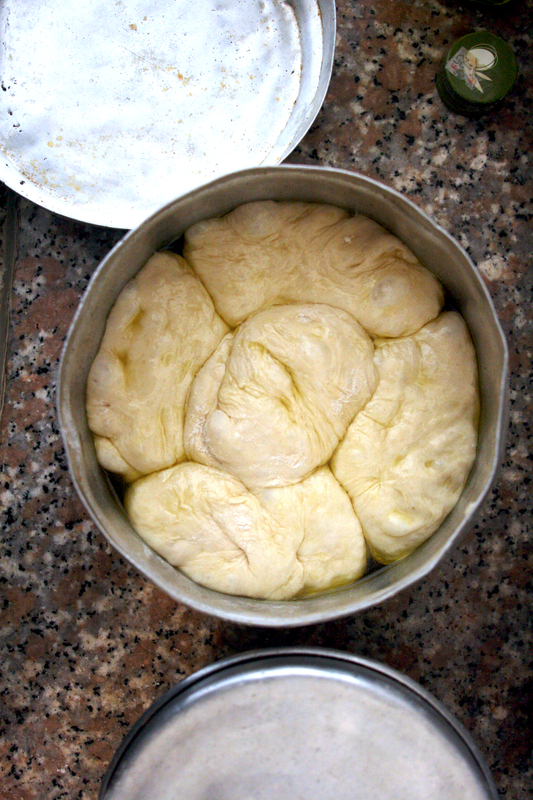 Kubaneh is a special Yemeni Shabbat bread. It is made in a metal tin over the stove. 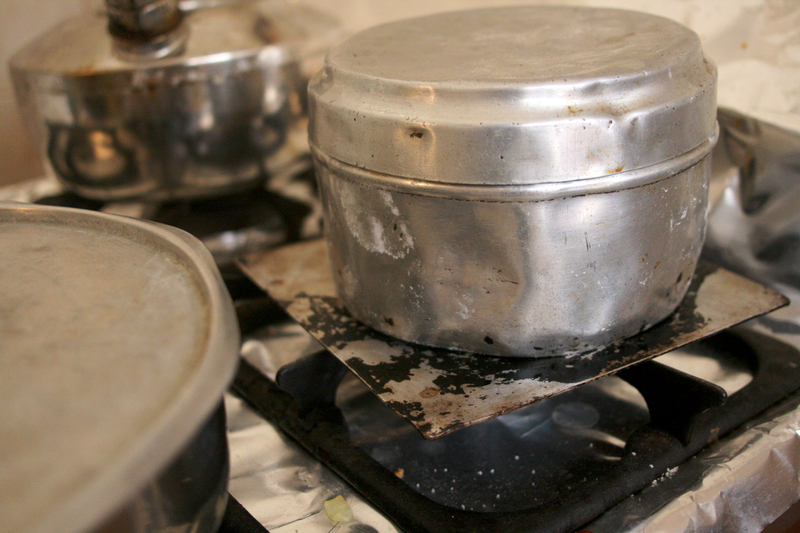 If you do not have one of these, you can use a steel baking pan or baking tin. Pour one inch of olive oil into Kubaneh dish. Separate dough into five balls and place into dish, leaving one inch at the top. 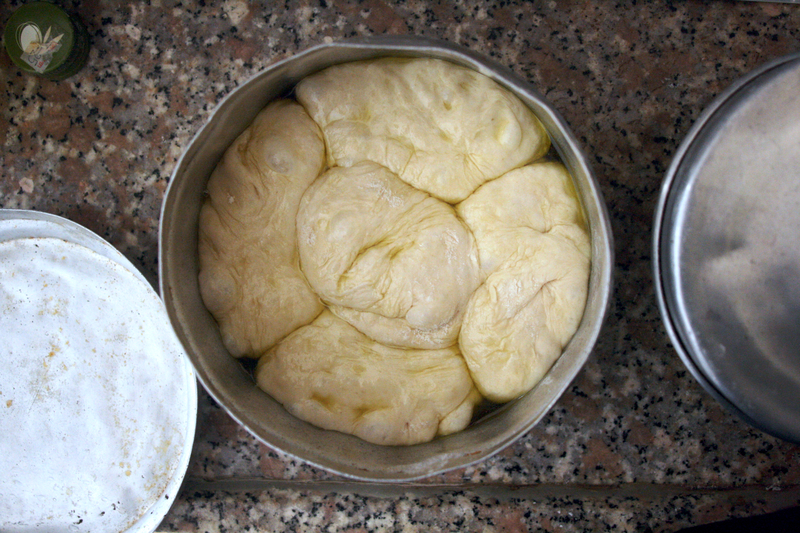 Cover dough in olive oil. Place top on Kubaneh dish and place over a low flame on the stove for 30 minutes. Once cooled, removed from Kubaneh dish. 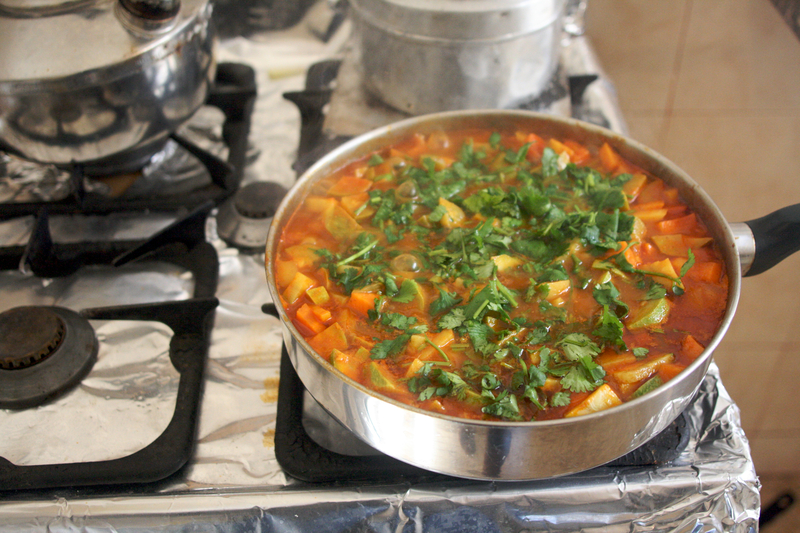 Before serving, brown top and sides of Kubaneh on a Shabbat hot-plate or a frying pan over low heat. Fill pan with two inches of oil and heat until bubbles form. Stretch dough into flat, palm size circles and drop into hot oil. Fry until golden brown and drain on paper towels. 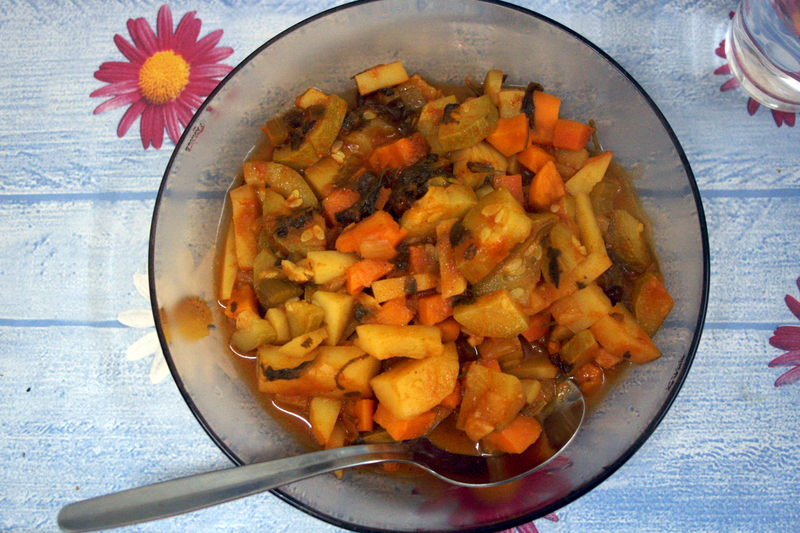 Eat immediately with Hilbeh and vegetable stew. Soak fenugreek seeds in a cup of water for at least 24 hours. Drain the water and blend the seeds with the remaining ingredients until a water salsa is formed. Eat with breads and veggies. Saute onions and carrots of medium heat until onions are translucent. Add one cup of water and remaining vegetables. Bring to boil and simmer for 10 minutes. When carrots are soft add tomato paste and spices. Stir, cover pot and simmer for 10 minutes. Add coriander and allow to cook for five more minutes. When vegetables are soft, serve piping hot with bread or rice. Shaina, on your next visit, can you get a recipre for hamin? That’s the yeminite version of cholent. 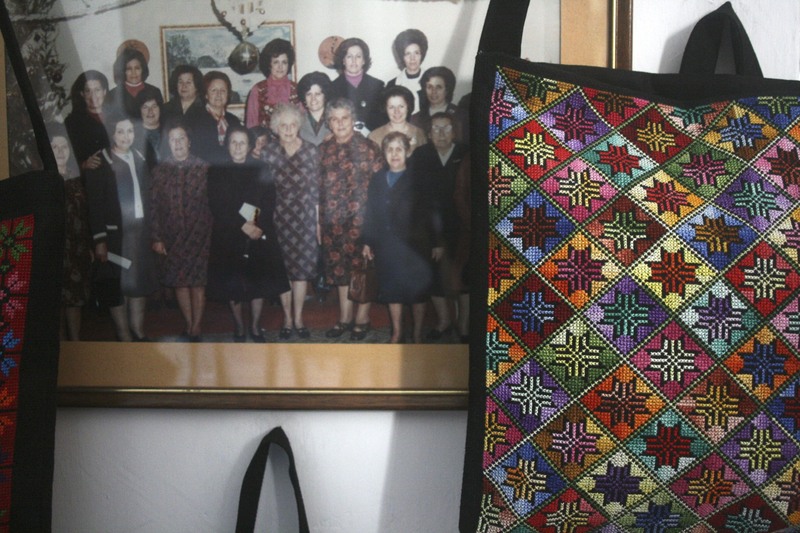 My aunt is yemenite and her mother made the most incredible hamin or chamin, but she doesn’t remember her mother’s recipe.